It is nearly that time of year again. We’ve all been saving our pennies, writing our lists and preparing our best me-made bags. At the shop, metres and metres of fabric are being chopped off the bolts and folded into pretty packages. 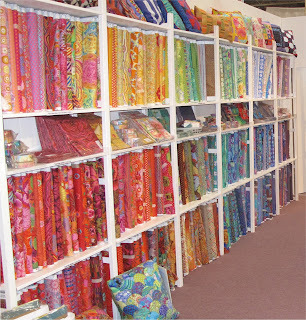 Quilts are piling up and the stock room is filling as we prepare for the biggest show of the year. It must be Festival of Quilts! Here’s the lowdown on everything that’s happening on the Cotton Patch stand this year. 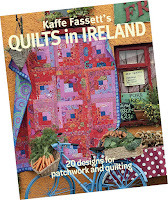 This year, like every year before, we’ll be launching Kaffe Fassett’s latest book hot off the press. We’ll be hanging a display of some of Kaffe’s new quilts on stand B21, plus the man himself will be on our stand for book signings, see times below. 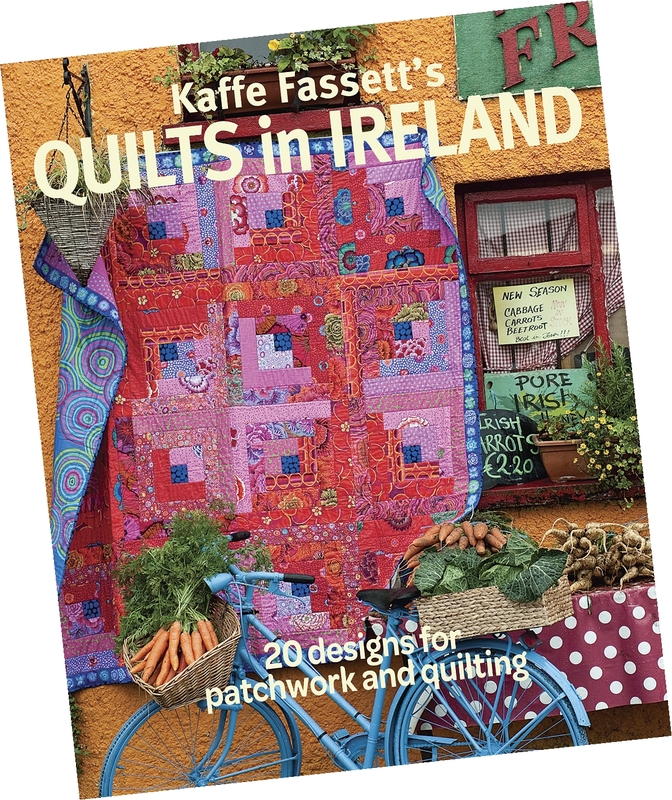 You can pick up your signed copy of Quilts in Ireland for just £21.49 (RRP £23.99), and as a special treat, each book will include a £10 voucher to use against any of our Quilts in Ireland Quilt Kits. So don’t miss out! 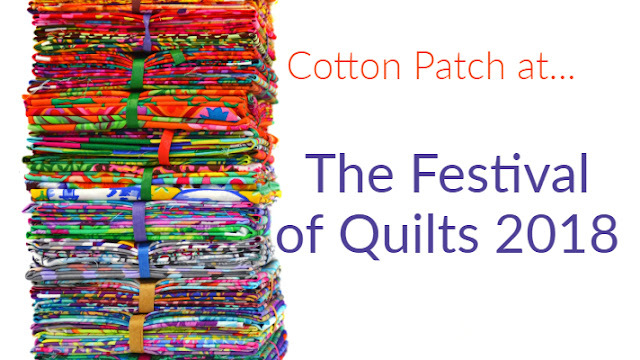 If you're not attending Festival, you don't have to miss out as Quilts in Ireland is now available to pre-order (until 31st July) and you will still benefit from the £10 discount off any quilt kit ordered at the same time. 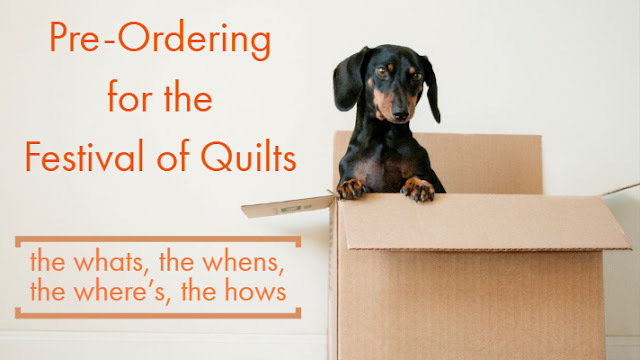 Read this post for more information about pre-ordering Quilts in Ireland or click here to go directly to our website. 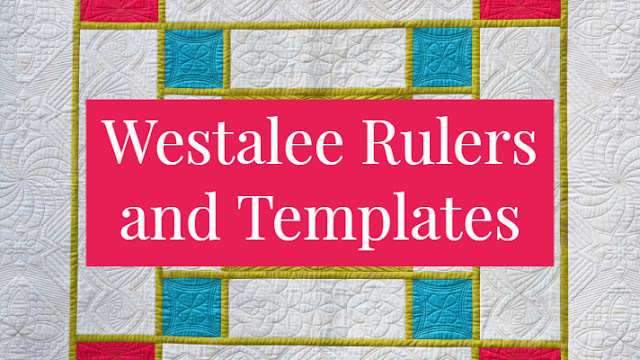 Angela Attwood will be on our C21 stand demonstrating the fantastic Westalee Ruler Foot and Templates. If you’ve not seen the rulers in action before, definitely come on over and prepare to be impressed. If you’re considering buying a ruler set, take a look at our ebook first to see the full range and find out whether you machine is high shank or low shank (very important knowledge to have!). Please make sure you also know the make and model of your machine - you would be surprised at how many people don't! Last month we released our new range of Accent Quilt Kits and you loved them! If you missed out, check out this blog post to see exactly what the kits are all about. We are very excited to announce that we will be launching even more designs at Festival, there really is one for every taste! 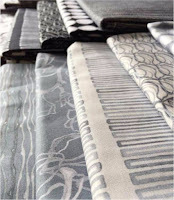 They will be adorning our stand so come over for a look and be prepared to be inspired. Sizzix pro Angela Southey will once again be on our stand to tempt you with all the possibilities of the Sizzix Big Shot die cutting machines. We have a huge range of dies available for patchwork, embroidery, paper crafts and more. Plus for every die you buy you get to walk away with a free 5” strip - the perfect stash builder! Victoria Findlay-Wolfe (sizzix die designer) will be giving a lecture on 'Creativity and Play' on Thursday 10th, and we will be stocking a great selection of her dies so come and have a look! 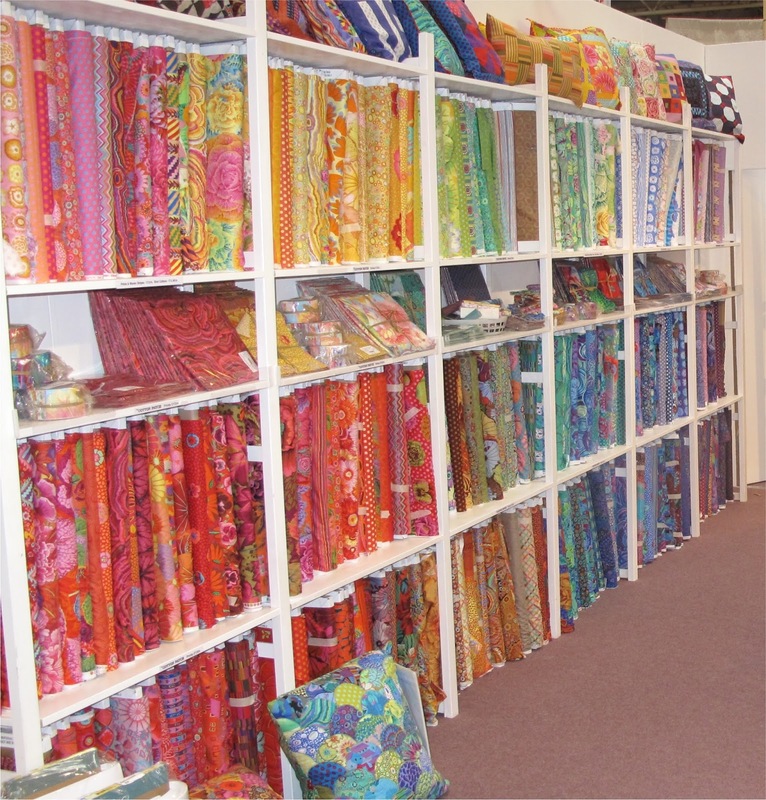 As always we will be taking along all the best of our Kaffe Fassett Collective fabrics, plus a host of other Free Spirit designers. 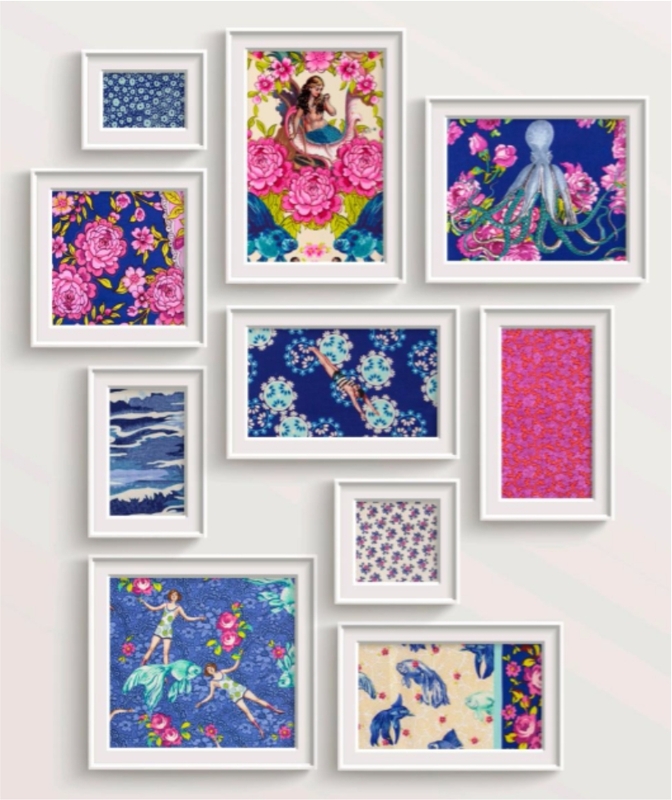 This year includes Tula Pink’s hugely popular Tabby Road collection, Tim Holtz’s fantastic range of Eclectic Elements, brand new Neptune and the Mermaid from Tokyo Milk (definitely one to see!) plus beautiful collections from Shell Rummel and Tina Givens. Alongside the fabrics we will have a great range of quilt kits, charm packs, patchwork palettes and fat quarters packs with some excellent deals happening. 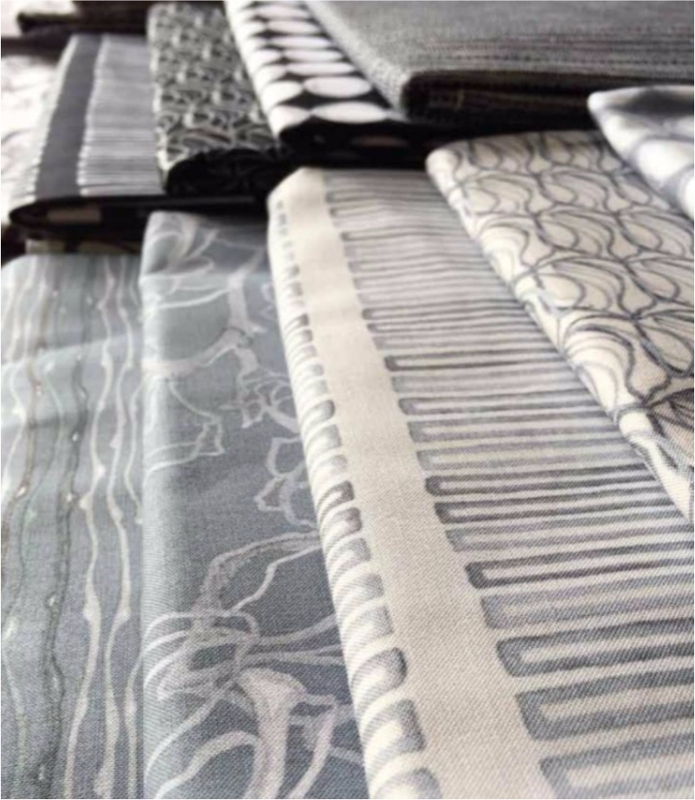 At this years show we are bringing an irresistible collection of threads from Presencia, Coats and Cotty at bargain prices. 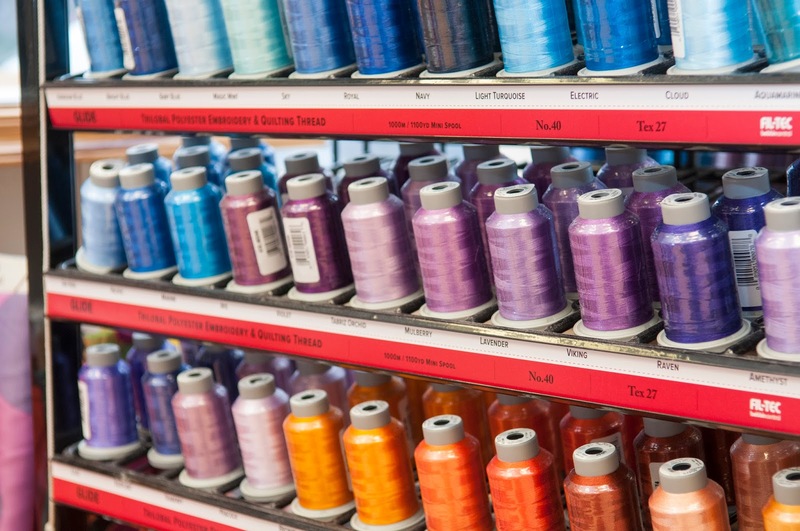 We will also have our rainbow stand of Glide Threads, a favourite among quilters. Yo yo’s, fusibles, ribbons and even fragrances courtesy of Heathcote & Ivory. 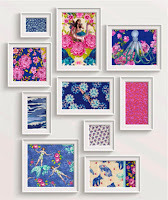 Plus, we will be launching a brand new quilting frame which allows you to quilt up to king size in just 5ft! More details to follow in part 2. Each year we try our best to put on a great show for you and we really think you’re going to be impressed! 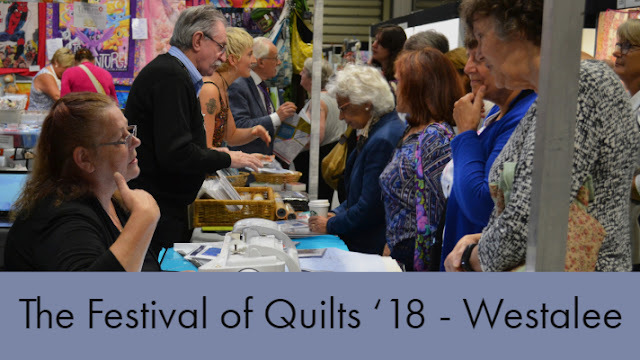 So come and visit us on stands B21, C20 & C21; be inspired by our quilt displays, have a go on our longarm quilting machine, let Westalee and Sizzix revolutionise your craft and make the most of our great show deals. 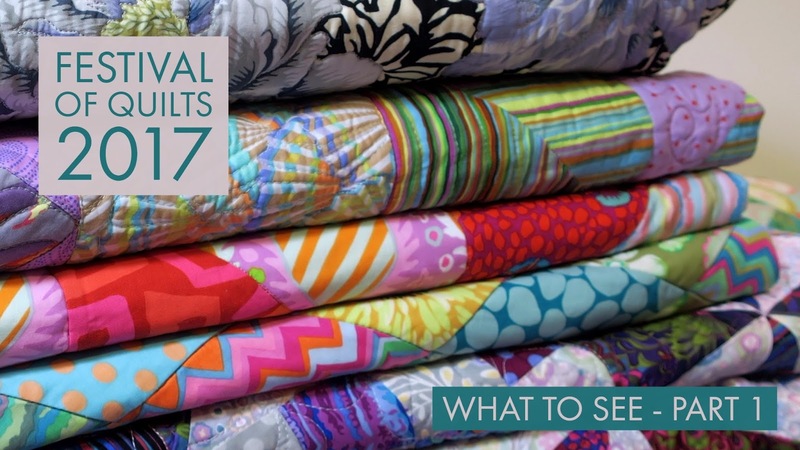 Look out for our 'What To See Part 2' (coming soon) to find out about our quilting machines, click and collect, new product launches plus a very special guest!